The Smith Campus Center renovations continue with the recent addition of trees. For years, staffers manning Harvard’s information desk in the lobby of the Holyoke Center had grown accustomed to hearing a common refrain from confused tourists. With an unassuming steel-framed door sandwiched between Au Bon Pain and a local Cambridge bank, visitors could be forgiven for thinking they’d taken a wrong turn upon entering the Center. The Holyoke Center—recently renamed the Smith Campus Center—is set to reopen in September 2018 after a two-year renovation that aims to transform the building into a hub for affiliates and the broader Cambridge community. Harvard first began renovations for the Campus Center in April 2016 after receiving a donation of an undisclosed amount from Richard A. Smith and Susan F. Smith. The significance of the Center as many visitors’ first impression of Harvard is key to Senior Director of University Planning Tanya Iatridis’s vision for the makeover. When completed, the Smith Campus Center will stand out as the crown jewel of University President Drew G. Faust’s Common Spaces initiative. Launched in 2008, the mission of the initiative is “to bring the University community together” and “to create areas on campus where students, faculty, staff, and visitors can engage with one another, discover and try new things, or simply relax,” according to its website. Common Spaces has implemented multiple projects such as the 2013 renovation of the Science Center Plaza, the rainbow chairs in Harvard Yard, food trucks and pop-up concerts in the Plaza, and seating areas on the steps of Memorial Church. When completed, the Smith Campus Center renovation will be the final and largest installment of the initiative during Faust’s tenure. The University solicited input from a multitude of Harvard affiliates and Cambridge residents in its planning for the Campus Center, according to University spokesperson Brigid O’Rourke. In order to proceed, the University obtained the approval of the Cambridge Historical Commission, the Harvard Square Advisory Council, the Cambridge Planning Board, and the Cambridge Board of Zoning, O’Rourke wrote in an email. Planners also gathered feedback from faculty, staff, and students by conducting around 25 focus groups and collecting 6,000 survey responses to inform design plans for the Campus Center, according to O’Rourke. Participants were asked for their opinions on a range of topics, including the furnishing of the Center. In the fall of 2016, hundreds of members of the community participated in a furniture showcase that involved testing out and providing feedback on potential furnishing options. Some responses to the University’s queries—which also asked about campus spaces in general—led to offshoot projects for the Common Space initiative, including the chairs in Harvard Yard. Harvard planners also spoke to members of the community to identify preferences for food venues to be located within the Campus Center. Desirable attributes for the eateries that emerged from these conversations included being locally-based, diverse, sustainable, and affordable, according to O’Rourke. University officials announced earlier this year that there will be eight food vendors in the Campus Center. The seven confirmed vendors include Bon Me, Swissbäkers, Blackbird Doughnuts, Pavement Coffeehouse, Saloniki, and Whole Heart Provisions. Layout of new restaurants in the renovated Smith Campus Center. “When complete, the Smith Campus Center will be a dynamic, vibrant, central gathering space for the Harvard community, Cambridge residents, and for the many visitors who visit our campus every day,” Vice President for Campus Services Meredith L. Weenick ‘90 wrote in an email. Planners consulted Harvard Square chess players to help develop plans for outdoor chess spaces around the Campus Center, according to O’Rourke. Considerations being taken into account include ensuring that the chess boards—to be imprinted on outdoor tables—be of international size and that the seating be made of wood rather than concrete, which gets cold more easily. There will be chess areas by the Campus Center on Mt. Auburn St. as well as on Massachusetts Ave. The general public will be able to access all of the first floor of the Campus Center and most of the second floor, excluding office spaces. The Center will include restrooms in the welcome area that are available to the public, and anyone will be able to purchase food, access Harvard visitors’ information, and purchase tickets to Harvard events. The move to renovate the Center did not always go smoothly with tenants and its neighbors. Several businesses previously hosted by the Holyoke Center—including Harvard Student Agencies’ cleaners operators—were required to vacate the space during renovations. Adjacent vendors have also complained that renovations have depressed their revenues and disrupted foot traffic. Last August, the parent firm of shuttered Mediterranean restaurant En Boca filed a lawsuit against Harvard, arguing the University had misrepresented the extent that renovations would interfere with local businesses. The final renovations to the Smith Campus Center will maintain the original architectural framework of the Holyoke Center as designed by Josep Lluis Sert when it opened in 1966, according to Iatridis. “Key design strategies include a comprehensive design approach that reinforces Sert’s original vision of activating the street level, maximizing transparency, enhancing connectivity and circulation, and integrating and improving access to daylight and landscape,” Iatridis wrote in an email. Glass walls have been installed throughout the first and second floors to give an open feel to the building and allow in natural light, enabling observers to view the back wall of the Center from the entrance. The building’s sustainable design includes systems for rainwater collection and reuse, a glass facade that maximizes energy efficiency, and the use of sustainable building materials, according to O’Rourke. Greenery is set to cover some of the walls in the lobby. The first floor will also feature an indoor courtyard enclosed by four glass walls. The courtyard, landscaped by Michael Van Valkenburgh, will feature plant species that are indigenous to New England, changing color with the four seasons. 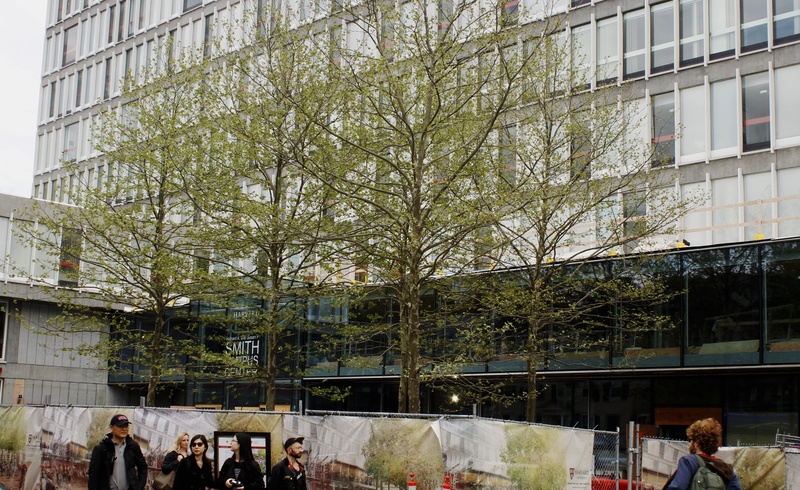 Owing to their size, the trees will have to be lowered from the top into the courtyard over the side of the Center. Upon entering the Smith Campus Center, visitors will be welcomed by a large information desk, a wall map of campus, a ticket office, and Pavement Coffeehouse. 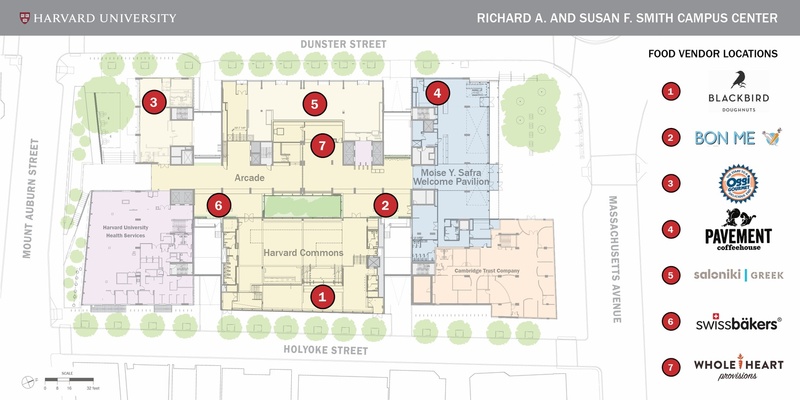 By proceeding into the building, they will end up in the “Harvard Commons,” a large, airy space fit to host approximately 1,600 people and floored with white tile. Bleacher-like steps provide a casual seating area, along with more standard forms of seating. The Commons will also include a stage for student performances and other events. A large screen can be lowered over the stage, which planners envision will be used for movie nights and presentations. 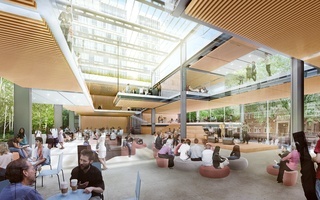 Glass doors and wooden rafters in the roofs of the Commons are intended to reduce noise so that other spaces in the Center can be used for quiet work while events are taking place. The second floor is aimed towards quiet study, with isolated study spaces, couches, tables, and four fireplaces. Parts of the floor will be carpeted. 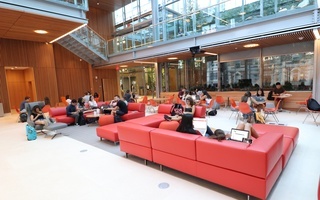 Indoor bridges connecting sections of the second level lead to collaboration spaces, two multipurpose rooms, and a space for Undergraduate Council and Graduate Council meetings, for which access will be limited to Harvard ID holders. Some spaces will be reservable by student groups. Two express elevators will go straight between the first and second floors of the Center to the tenth floor without stopping at the administrative floors in between. 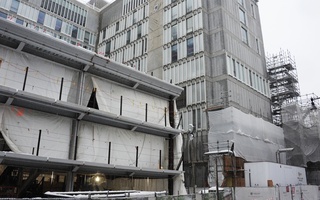 The tenth floor, only accessible to Harvard affiliates, will be split into two wings. One wing, dubbed the “River View Commons,” will be a designated social area with windows facing southwards towards the Charles River and Allston. 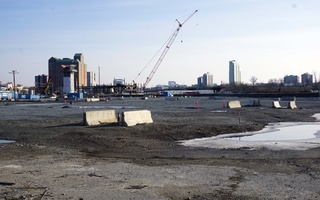 It will include a game room, a small stage for informal concerts, lounge spaces, and a room that can be reserved for classes and other meetings. The other wing, which has yet to be named, will provide spaces that are intended for scheduled meetings and events. The entire wing will be available for events. — Staff writer Yasmin Luthra can be reached at yasmin.luthra@thecrimson.com. Follow her on Twitter @YasminLuthra. If Harvard aspires to continue creating more inclusive social spaces in the future, administrators must consider providing resources other than money to support such endeavors.